The services offered through MAS AIR website are subject to MAS AIR transport terms and conditions. Because these terms and conditions may vary depending on the country of origin or destination of the shipment, it is recommended to contact the local office of MAS AIR to obtain a copy of the terms and conditions applicable to the required service. MAS AIR Services may vary depending on the country in question. In order to provide quality services, MAS AIR website contains interactive features, such as reservations, tracking, surveys, among others. MAS AIR reserves the right to restrict the use of interactive functions to any Client that misuses these functions. If the interactive features are blocked to your customer number, you must communicate directly to the telephone numbers of your sales representative to resolve the drawbacks of the blocking. The trademarks, logos, trademarks (collectively the "Trademarks") displayed on the Website are Trademarks of MAS AIR (AEROTRANSPORTS MAS DE CARGA, SA de CV), registered and unregistered, and can’t be used with respect to products and / or services that are not related, associated or sponsored by their holders of rights and that may cause confusion to Users and / or Suppliers, or in any way that discredits their rights holders. All Trademarks and material published on the Website that are not owned by MAS AIR are the property of their respective owners. Nothing contained in the Website shall be construed as granting, by implication, rejection, or otherwise, any license or right to use any Trademark displayed on the Website without the written permission of MAS AIR or third parties that may be owners of said Trade Mark. The misuse of the Trademarks displayed on the Website, its social networks or on or through any of the services of the Website is strictly prohibited. Remove any Copyright, Trademark or other proprietary rights from the MAS AIR site. Create copies of any part of the MAS AIR site. Your use of the MAS AIR Website is at your own risk. Neither MAS AIR (AEROTRANSPORTS MAS DE CARGA, S.A. de C.V.), nor any of its employees, managers, directors, or any other party involved in the commercial operation of MAS AIR will be responsible for any direct, indirect, special, consequential, or of other damages resulting from the use of the Content on the MAS AIR Web Site, or the impossibility of using it, including damages caused by viruses, inaccuracies or incomplete information on the website. The foregoing, in accordance with the limits established in the applicable Law. 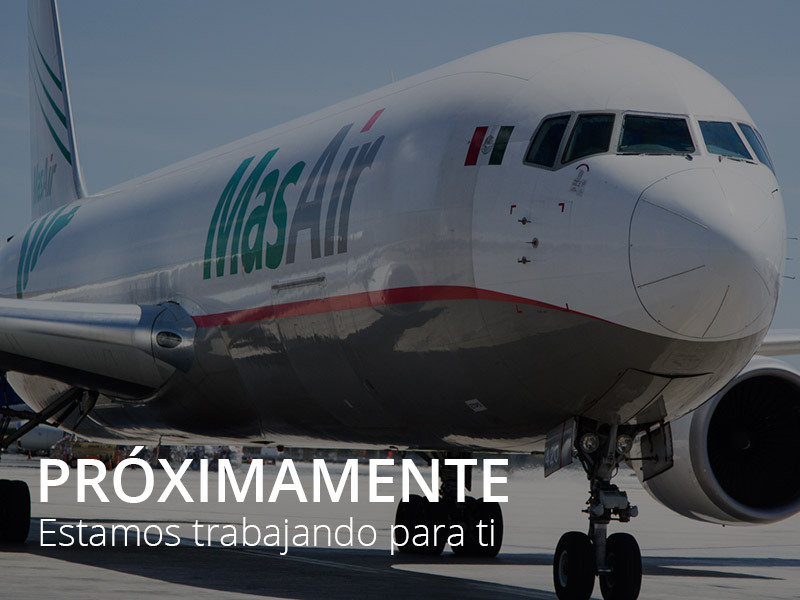 The information obtained from the Users of the MAS AIR website will be considered as Confidential and will not be disclosed to any third party, unless it is necessary according to the Laws applicable to the case or in the need of the services provided by MAS AIR.